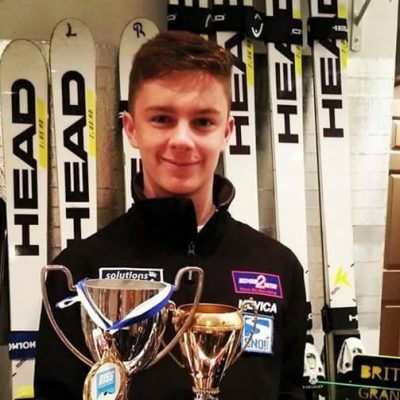 Finlay Davies is a national Ski Cross athlete from Daventry. Before changing his focus to Ski Cross, he was the U18 Indoor Slalom Champion for Great Britain. The 17-year- old has achieved podium finishes at a number of national events, including silver at the British Championships in 2016. He has also been nominated three times for the Junior Sportsman of the Year award in his hometown of Daventry, winning the accolade once. Finlay is working hard to achieve a top ten finish in Europa Cup races. His long-term goal is to compete for his country at a Winter Olympic Games. Finlay travels frequently to attend training camps and international competitions, but when at home, he regularly trains at Everyone Active’s Daventry Leisure Centre.